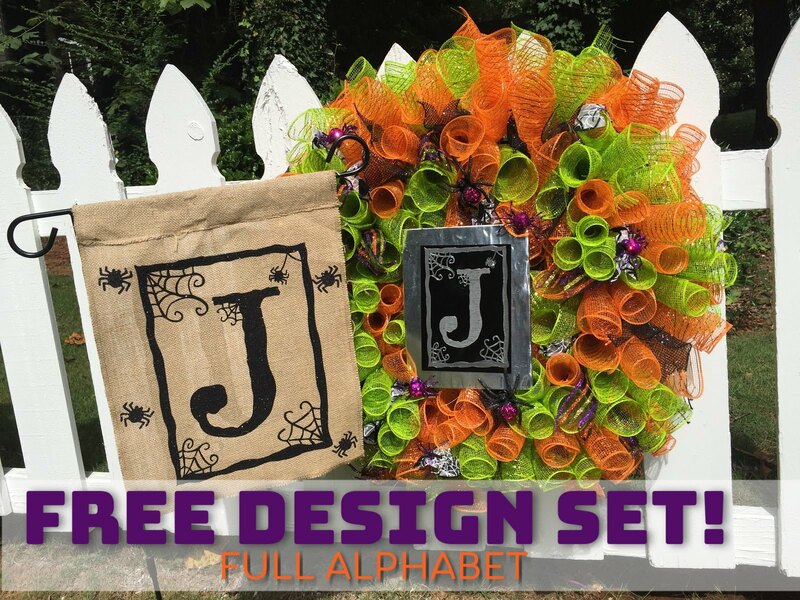 It's Freebie Friday and this week I have something extra special for you - an entire set of Spider Web Letters PLUS a couple videos on how to make the items in the post! We've teamed with Silhouette U contributing designer Mary Carol from Miss Mary's Embroidery for this week's free design and she's giving Silhouette School readers a whole lot of amazing Halloween fun! 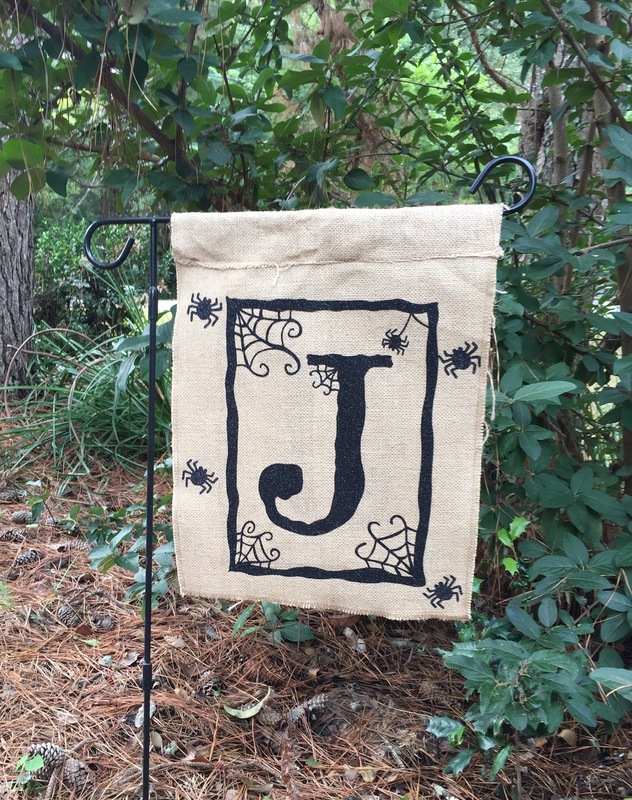 What's even better about the Spider Web letters is just how many different ways you can use it. The designs comes with the PNG, SVG, and even embroidery file formats which means you can use it to create so many awesome things for Halloween! You can embroider or cut it with HTV and use on a flag and even etch on etching sheets like Mary Carol did on the center of this wreath. The Set of Spider Web Letters will be available for the whole month of October over on Miss Mary Embrodiery's site. You will need to set up a new account if you haven't purchased or received any free files since February 2018 due to a change in web hosts. Mary Carol has even been so generous as to put together a video so you can see exactly how to make the wreath and how to etch the letters on the Curio for the center of the wreath!